Research and development is the very start of any product lifecycle. It is used to collect information and generate knowledge through theoretical and experimental processes. Research and Development (R&D) within FMCG (fast moving consumer goods) and healthcare bridges the gap between science and business and is the first step in creating new products to meet consumer needs. Almost everything you use in your day to day life is a result of applied research and development, from dishwasher tablets to touchscreens. Companies like Unilever, Johnson & Johnson, Reckitt Benckiser and Coca-Cola invest heavily in R&D to stay competitive in their markets – Microsoft spends over $9 billion a year on R&D alone! Research and Development professionals are the people who take great marketing ideas and turn them into new bestselling products, ensuring FMCG businesses remain relevant and competitive. Why pursue a career in Healthcare/ FMCG R&D? 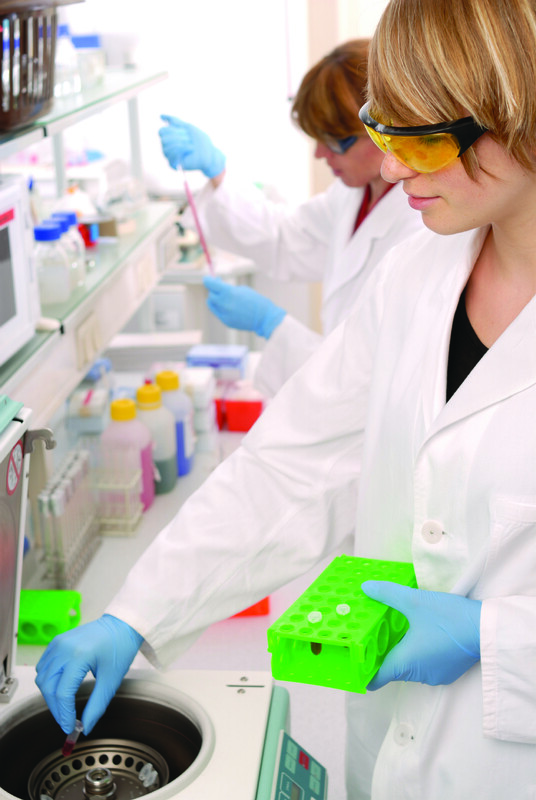 To work in R&D is to be at the forefront of innovation. In this fast paced environment you are quite literally shaping the world around you: As noted by About FMCG, 40% of brands on the top 100 list twenty years ago have already been replaced by new names today! Being surrounded by a diverse range of experts in their fields presents a truly unique working environment usually divided into key subgroups. New Technologies: A forward-looking global team that aims to anticipate the future needs of consumers and seek out new technology to deliver solutions. Category Development: This team works with marketing to ensure new products are launched within three years. Scientific Service: A department made up of local and regional teams who focus on products that are already launched and on the market. Also, see this interview with Sharon James, Senior Vice President of R&D at RB, for an insight into their innovation process. She also describes what innovation is like at RB and the kind of people that excel within the R&D function at RB. Entry-level salaries depend on the position and the employer, but there seems to have been a recent increase in earnings across the board as competition to find the best and brightest intensifies. FMCG and pharmaceutical employers offer an average starting salary of £23,000, whereas research and development and other science jobs are more likely to offer around £21,000. Where can I get work experience and what graduate jobs are out there in consumer healthcare R&D? To begin with you will need (or currently be studying for) a scientific or technical degree in a discipline related to the field of research in which you want to work. For some research positions you may need postgraduate qualifications, however it may also be possible to undertake further study once you are working, so investigate the possibility of sponsorship if this is an option you are considering. To find more work placements and internships in the science and healthcare sector, search for work experience or search for specialist recruiters in your chosen field. The majority of large science employers expect graduates to apply for jobs through their online application systems. The selection process then usually involves tests (e.g. numerical, personality and verbal reasoning), interviews (general and technical), and/or an assessment centre. When applying for internships and jobs, check employers’ application schedules carefully as there may be specific times of the year when they are posted and a set date for applications, particularly for training-grade positions in healthcare science. The main scientific professional bodies and institutions offer professional development and routes to chartered status, an internationally recognised mark of excellence. Review the continuing professional development (CPD) opportunities offered through the main scientific professional bodies at their websites. Do your research so that you know what they are looking for, and make sure you’re a good match. Expion – specialist science recruiter. Biopharmguy – listing of UK biotech, pharma and life-science company career pages. In addition to the resources mentioned in this post, we’d recommend searching for work experience and graduate jobs on our database, as well as look at advice on work experience and graduate jobs on our website. You can find lots of other resources in the Research & Development careers category and the school resources for Biological Sciences, and Physical Sciences. You might also be interested in this blog post from student Laura Riggall about how she got her placement as an Industrial Toxicologist with GSK.